Bloomsbury USA Childrens, 9781619630642, 448pp. Celaena Sardothien is the king's Champion-yet she is far from loyal to the crown, for the man she serves is bent on evil. But working against her master in secret is no easy task. 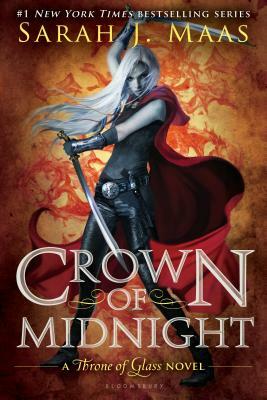 As Celaena tries to untangle the mysteries buried within the glass castle, she can trust no one, not even her supposed allies Crown Prince Dorian, Captain of the Guard Chaol, and foreign princess Nehemia. Then, an unspeakable tragedy shatters Celaena's world. She must decide once and for all where her loyalties lie . . . and whom she will fight for. An action-packed and romantic adventure that readers “will never want to leave” (Kirkus Reviews), the next chapter in this smash hit New York Times best-selling series is sure to please Sarah Maas's enormous and ever-growing fan-base–and to set the stage for an explosive third book.